In La Saline les Bains, the Biche de Mer offers 21 comfortable, fully equipped bungalows on the ground-floor in a tropical garden. The studios can sleep 2 people and 1 child under 12 years old (free ). Additional person paying.The studios also come with a mezzanine level, a fully-fitted kitchenette, a lounge area with a double bed or two single beds, a covered terrace with dining area. The T2-Appartments (1-bedroom) can sleep from 2 to 5 people, and include a kitchenette, a sofa bed for 2 people + 1-person bed in the lounge, a bedroom with air conditioning on the upper floor, covered terrace, and private garden with barbecue. Flat- screen TV, free Wifi, safe in each bungalow. Air-condition, parking space, laundry service chargeable. Secure Swimming pool : decreasing rates from 7 nights booked. Seminar room for 15 people. 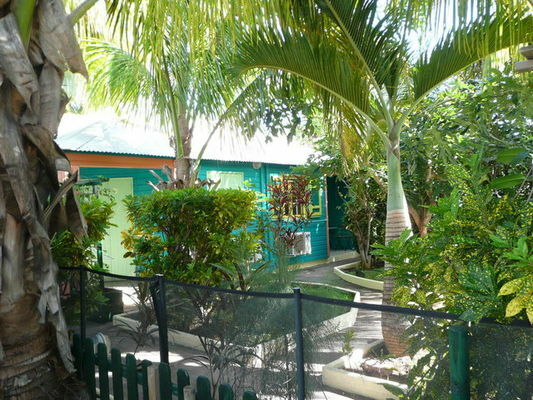 Direct access to the lagoon beach via a private path. Close to all facilities. Environment / Access : Head for La Saline les Bains. 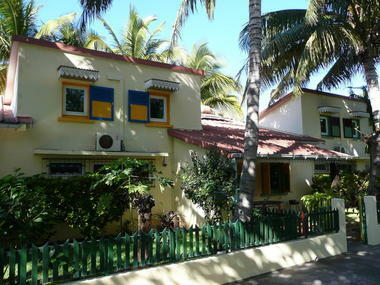 The residence is right in the middle of La Saline, beside the Palais de l'Orient restaurant.